First Assistant Attorney General Clint Patterson issued two opinions in February concerning the Executive Branch and Legislative Branch. The two opinions deal with issues that have already been settled by Osage Nation Supreme Court opinions in Standing Bear v. Whitehorn and Standing Bear v. Pratt. The first opinion, ONAG-2019-01, issued on Feb. 1 answers a question posed by Principal Chief Geoffrey Standing Bear. He asked whether the Human Resources Department can update or change qualifications, duties, responsibilities or job descriptions of employment positions within the HR department, even though they are defined in the Osage Nation Workforce Pay for Performance Act. Patterson answered “yes” because the Supreme Court ruled in 2015 in the case Standing Bear v. Whitehorn that it is unconstitutional for the legislative branch to establish job qualifications and duties within the HR Department. Patterson discusses the sections of the Workforce Pay for Performance Act the Supreme Court struck down and states the unconstitutional language has not been physically removed from the law so when reading the law an individual must read the law as if those sections aren’t there. The Supreme Court struck the language four years ago. The second opinion, ONAG-2019-02, issued on Feb. 26 again answers a question from Standing Bear. He asks whether it is unconstitutional for the Congress to require the review and approval of financial and accounting policies within the Executive Branch. Patterson states the Budget Parameter and Limitations Act required Congressional approval of financial and accounting policies and that language was struck by the Supreme Court as unconstitutional. The Supreme Court struck the language three years ago. 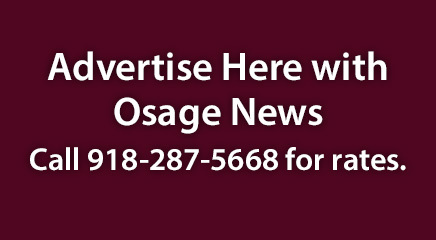 Osage Nation Congressional Speaker RJ Walker said there is not currently a Constitutional or legal mandate for the Congress to create or update the Osage Nation Code. He said the Congress takes that responsibility upon itself for the benefit of the Osage People and the Osage Nation government. 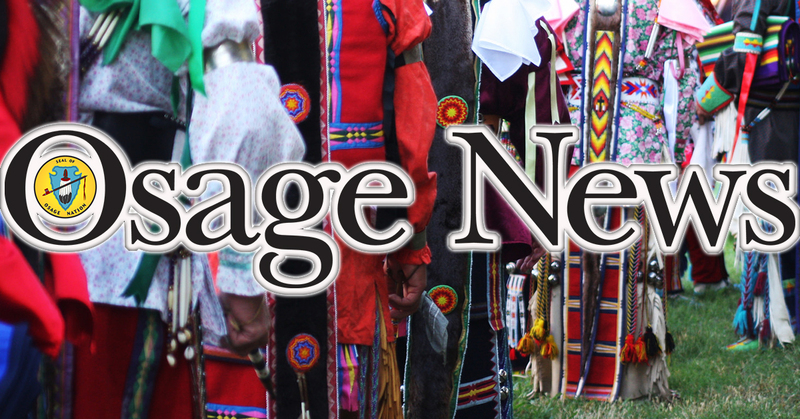 “As the Supreme Court has stated, to change a statute the Osage Nation Congress must amend the statute by bill pursuant to Article VI of the Osage Constitution. Although portions of statutes have been declared unconstitutional by the Supreme Court, the actual language of those statutes in the Code will not change until amended or repealed by bill. “The Supreme Court Opinions must be referred to in conjunction with the statutes to determine the current status of the law. You will find this is also the case in state and federal jurisdictions,” he said. Walker said the Congress has recently started utilizing an online format that allows the bills passed to be uploaded after the end of the legislative session. He said the bills are reviewed, edited for accuracy, spelling and grammar and then published online. The process takes about three to eight weeks. “I appreciate the opportunity to engage in an article to inform the public on the legislative process. I also understand the perception that some feel that the Supreme Court’s opinions are being ignored, however, much of what has been determined unconstitutional has been included in appropriation bills and that language is no longer used. “There are ongoing discussions regarding fixes to the Budget Parameters and Limitations Act and I believe we are getting closer to new law that will pass through Congress and work for this and future executive branches,” he said.